Clean from the inside out! 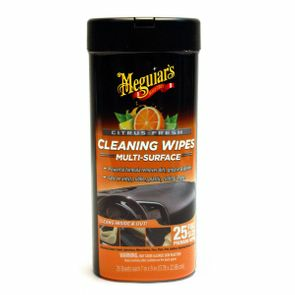 Meguiar's Citrus-Fresh Cleaning Wipes were developed after decades of experience creating multi-purpose cleaners used by professional detailers and automotive enthusiasts around the world. Exterior surfaces like running boards and trim are constantly bombarded with road grime that washing doesn't remove. Interior surfaces like carpet, upholstery, door panels and dashboards get dirty from daily wear and tear. 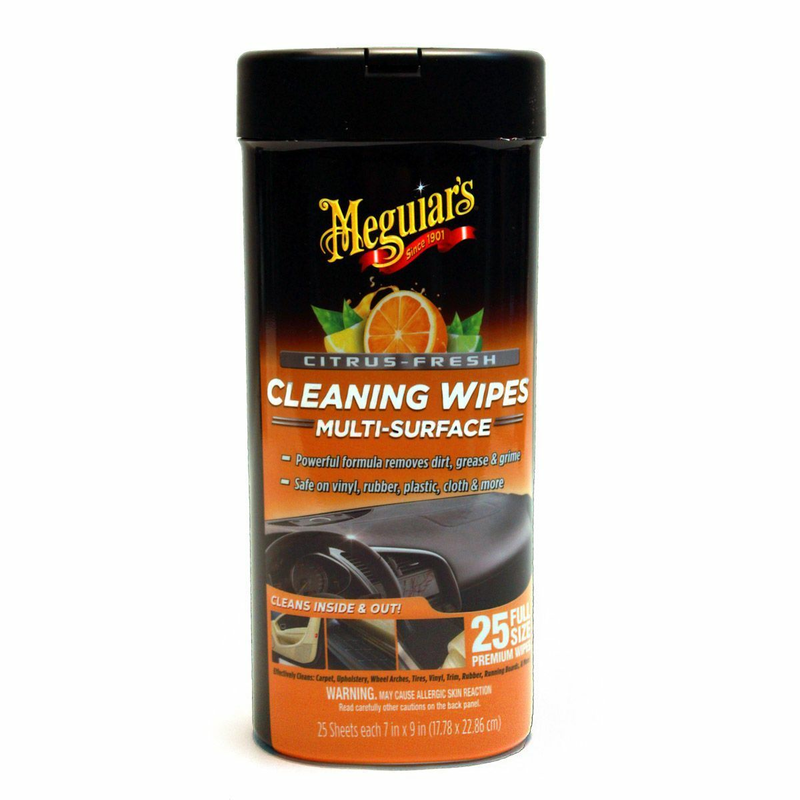 Meguiar's Citrus-Fresh Cleaning Wipes are the perfect product to use on car interior and exterior surfaces that are constantly getting dirty while restoring that like-new appearance with a refreshing citrus-fresh scent. Car detailing made easy in a quick and convenient wipe. 25 Sheets - 7"x 9"
Meguiars Plastic & Vinyl Coating 10 oz. Meguiar’s D111 Shampoo Plus 128 oz.